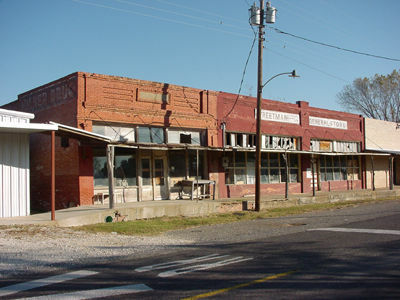 Streetman General Store and the Milner Drug Store. On the side of the Drug store you can faintly see the Milner Drug ghost sign. The Trinity and Brazos Valley Railway arrived in 1905 before the town was established. The following year the town came into being and was named to honor Sam Streetman of Houston, who had surveyed the town for the railroad. 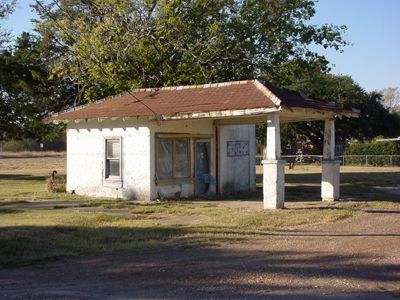 In 1907 the nearby community of Cade, Texas lost its post office to Streetman. A newspaper was published in 1912 and the town incorporated two years later with a population estimated at 600. Streetman's first school classes were taught in a blacksmith shop in 1907. A designated building came in 1913 but during the school consolidation in the late 1940s, Streetman's school merged with those in Fairfield. Streetman's salad days ran from 1920 through the Great Depression. From a population of just over 500 in 1931, it declined after WWII as did most smaller towns in Texas. By the late 1970s the population was down to 239, and the town's school children were bussed to Fairfield. The figure given on the 2006 state map was 203 residents.